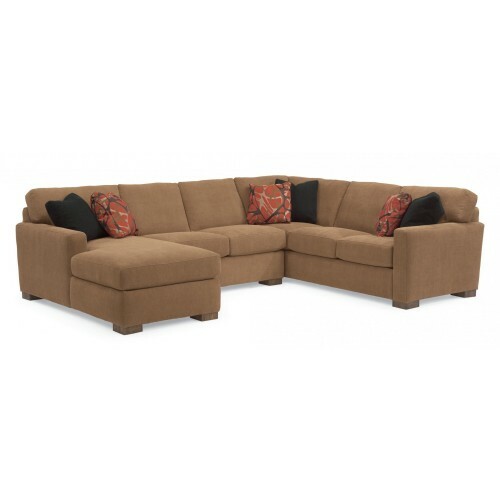 Bryant offers modern, clean lines that are contrasted by its softly padded arms and boxed seat cushions. The arms and seat cushions are detailed with single-needle top stitching, while the bold block legs add a solid finish to this design. Multiple seating options make the Bryant sectional ideal for relaxing with company. Bryant is available in the following pieces. See Fabric and Finish Options for available customization and design details.